Leadership is a journey built on your daily habits, mindset, moods, and behavior. Let’s be honest – stress and constant demands take a toll on us all. How effective are you in mastering your emotions to increase your leadership? As a leader, your job is to make your team works harder by keeping them focused and empowered. To do so, you must first understand that your moods are contagious. When employees are “infected” by the moods of others, especially their leaders, it impacts everything around them. The key to understanding emotional contagion in leadership is to first understand yourself as a leader. Emotional intelligence involves self-awareness, self-regulation of emotions, and self-motivation—and is the number one predictor of success in leadership. 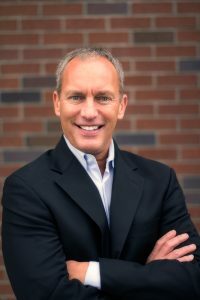 Leadership keynote speaker, Steve Gutzler engages audiences everywhere on leadership, emotional intelligence, and personal transformation. He has an exceptional ability to communicate clear leadership and business solutions with humor, clarity, and insight. Through his programs, Steve inspires greatness in individuals at every level. Steve’s program, Full Potential: How the Best Perform Under Pressure addresses the epidemic of stress and pressure. Through inspiring stories and real-life case studies, Steve explains how to avoid self-sabotage and burnout through the science of emotional intelligence and stress tactics, while continuing to operate at your optimum potential. How to self-manage your 17% moments when interactions in business become challenging and work becomes more difficult. How to create stress-resiliency tactics for sustainable success. How to operate at full-potential and tap into confidence, optimism, resiliency, and enthusiasm. How to remain health and recognize that exhaustion and burnout are not considered a badge of honor. How leaders help others manage energy and emotions when it matters most. Harness the power of your emotions and you’ll harness the power of your team. Leadership is about enabling the full potential of others and that is exactly what Steve does! To bring him to your upcoming meeting or event, contact Michelle Joyce. Don’t forget to stop by next week for additional featured speakers!